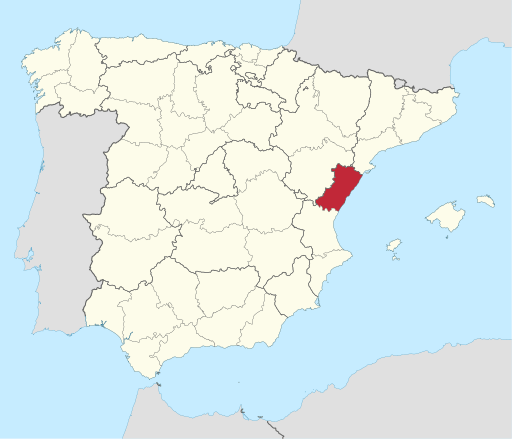 The province of Castellón (Castelló in Valencian), is part of the Autonomous Community of Valencia. Castellón was granted VdlT (Vinos de la Tierra) status in 2001 and as an IGP (Indicación Geografica Protegida) in 2004. At present it is awaiting its designation as a DO, which indicates a higher standard than IGP. It consists of three comarcas or districts: Palancia–Alto Mijares, Sant Mateu, and Les Useres–Vilafamés, the last of which is comprised by the villages of Benlloch, Cabanes, Les Useres, Serra d’Engarceran, Vall d’ Alba, Vilafamés y Vilanova d’ Alcolea. 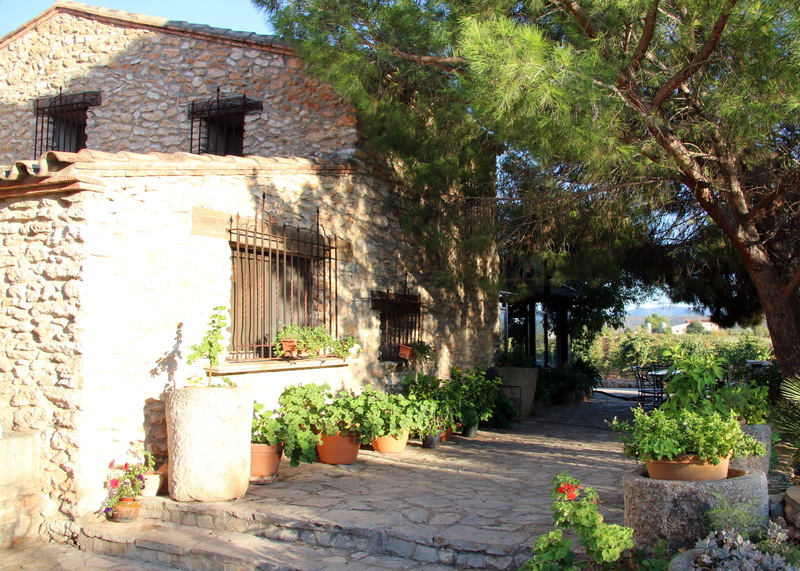 Barón d’Alba and its vineyard, Clos d’Esgarracordes, is located in the Les Useres district. It is surrounded by mountains to the West, while to the East it borders the Mediterranean Sea. The plateau is marked by altitudes of 200 meters or more. Consequently, summer temperaturas can range up to 35 to 40° Celsius, while in the winter temperatures can drop to as low as -10° C. Typical seasonal rainfall—mostly in the autumn—is about 450 mm. The summer tends to be dry to arid. In other words, it’s a region of extremes, even for Spain. Today, winemakers of the region have been endeavouring to bring back the halcyon days before 1982, when local producers were forced by law to uproot their hybrid vines, ‘Señorito’ and ‘Macameu.’ This seriously damaged the agrarian sector of villages such as Cabanes, Vilafamés, Vall d´ Alba, Benlloch, and Les Useres. According to a 2014 article in the English-language online newspaper, Valencia International, “There are various local legends as to why the authorities took this decision; local producers claim that they were told that their grapes were toxic and could cause cancer, although many believe that their prosperous economy was sacrificed in order to favour the emerging La Rioja region. Red varieties allowed in Castellón include Bobal, Tempranillo, Garnacha Tinta, Garnacha Tintorera, Cabernet Sauvignon, Merlot, Syrah, Pinot Noir, Petit Verdot and Cabernet Franc. White varieties include the native Tardana (Planta Nova) and Macabeo varieties, as well as Merseguera, Chardonnay, Sauvignon Blanc, Parellada, Verdejo, and Moscatel (Muscat Blanc à pètits grains). In the 2000 edition of José Peñín’s Atlas de los Vinos de España Castellón wasn’t even mentioned, but the atlas was focused almost entirely on the DOs of Spain. John Radford’s The New Spain, 2nd edition (2004), devotes little more to the region but does touch on the movement towards making quality wines. The Peñín Guide to Spanish Wine 2010 devotes only a few lines to wines of the region, again due to the focus on DO wines. Even online there is comparatively little information. 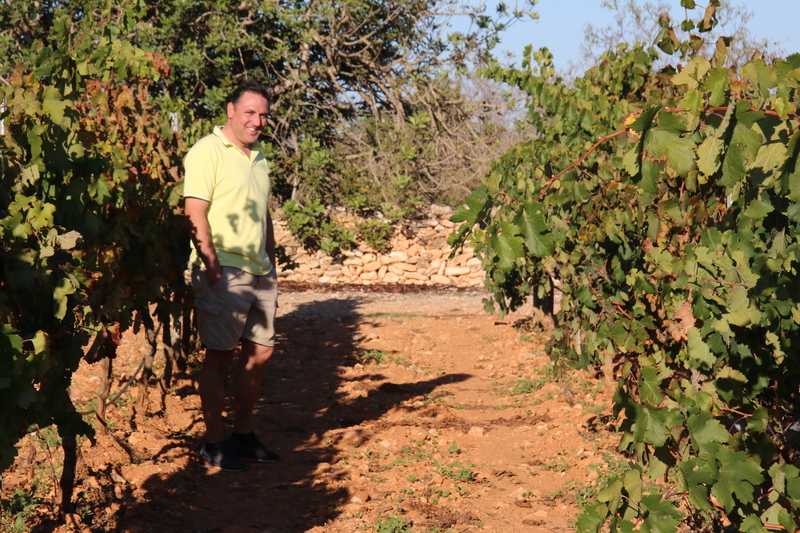 In October, 2016, we visited two wineries in the región at the invitation of Mario Malafosse, consulting winemaker to Barón d’Alba and Bodega de Moya, and interviewed him at both places, along with the owners. Bodegas y Viñedos Barón d’Alba is located in L’Alcalaten which is the lowest part of the Les Useres district and lies at an altitude of about 200 meters, where it enjoys a suitable mesoclimate for the production of high quality-wines. The vineyard is planted in rows on trellis with a double Royat cordon. They use a planting density of 2600 vines per hectare and with a per plant production limited to a maximum of 1.5 to 1.75 kg per vine, depending on variety, making a closely monitoring of the growth cycle of the vine in order to obtain a high quality fruit. The enterprise began with the planting of the varieties Cabernet Sauvignon, Gewürztraminer, Garnacha, Macabeo, Merlot, Monastrell, Syrah, Tempranillo, and Monastrell, with the intention that they would focus on obtaining fruit of high quality as opposed to harvesting great quantity. 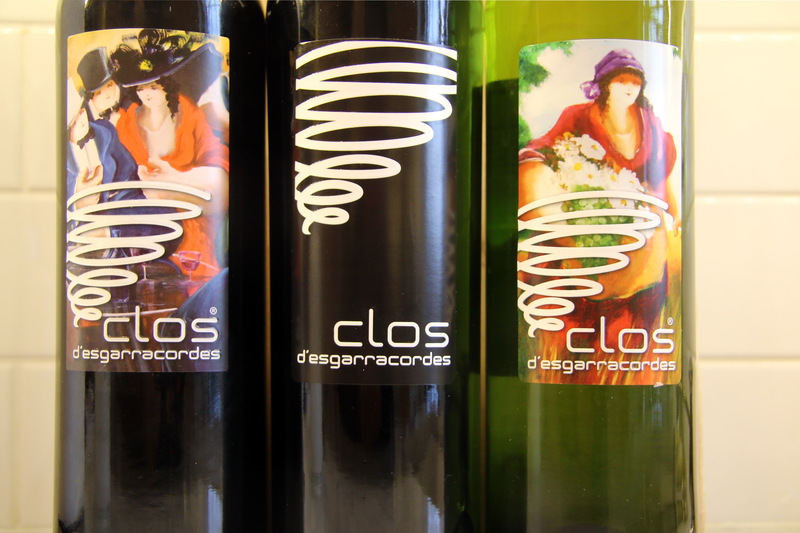 Bearing in mind the exceptional quality that can be obtained from grapes grown in the region of Les Useres, the owners decided to build the winery right in the vineyard, Clos d’Esgarracordes, which offers a beautiful panoramic view of the region. The wines fall under the regulations of the Castellón IGP, even though they could use those of the Utiel-Requena, but choose not to. The IGP status gives them more latitude to make wine as they see fit. The name of the winery, Baron d’Alba is actually derived from the names of two nearby, neighboring towns in Utiel Requena: La Barona and Vall d’Alba. There is no baron. The property has been in the Carrido family for generations, growing a variety of crops including wine grapes. 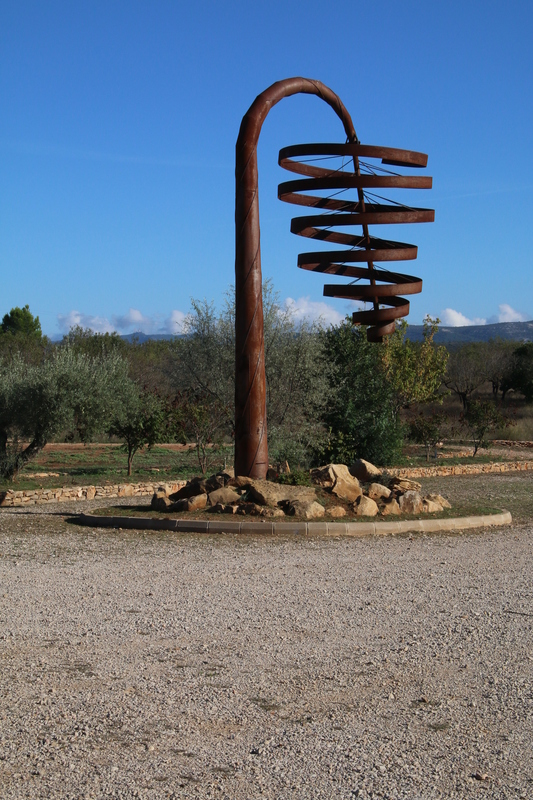 However, in the 1970s, when Spain joined the EU, the vineyard was pulled out and an olive grove was planted in its place. No wine was produced until 2001, when Sergio, then 20, and his father chose this particular plot of 15 hectares to plant a new vineyard. It has since grown to 20 hectares (50 acres) and produces about 70,000 bottles or nearly 6,000 cases, more or less, in any given year. Sergio is driven by his passion for growing and making wine. It is a way of life that he chose and cannot imagine any other. He lives there with his family, who all get involved in some way or other from time to time. Sergio never thinks of going to work exactly because for him it is almost a diversion, almost like play, because he enjoys it so much. But he’s very serious about it as well. There is, after all, another part to the equation of producing quality wines which goes beyond the choice of a vineyard site and the selection of varieties to plant, which is the growing level of professionalism of the vineyardists, winemakers, management, and so on. These people now often have university degrees in their chosen professions. For example, Mario Malafosse, his consulting winemaker. Mario had studied oenology in Bordeaux was especially influenced by the great French oenologist, Denis Duboudieu. 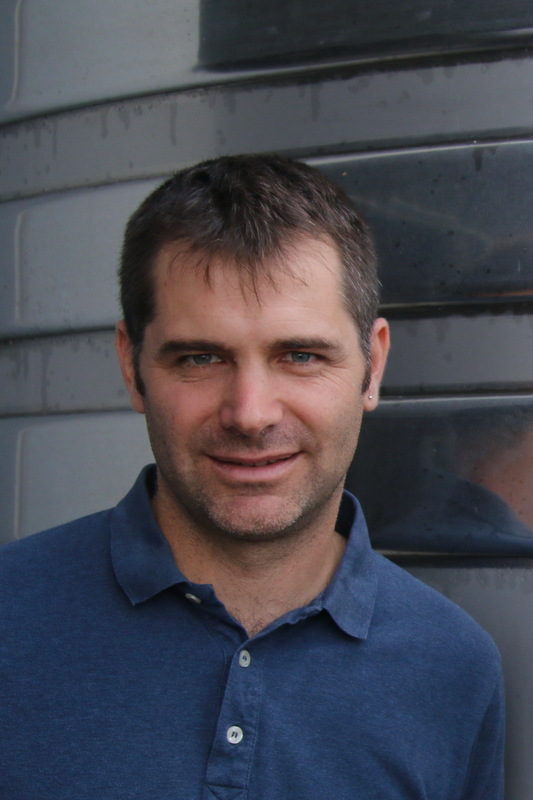 Mario has been working in Util-Requena since 2006 as a consulting winemaker for several wineries in the region. He also spends the Winter and Spring in the Southern Hemisphere (where it’s Summer and Autumn) working with Michel Rolland in Argentina and New Zealand. Furthermore, he also teaches viticulture and enology for the Master Vintage International credential at the Polytechnic University in Valencia. Their approach to the terroir is interesting, especially given that they focus not just on the traditional notion of the soil as layers of dirt, or the structure of the layers, or the depth, but also on the microorganisms in the soil. These they see as also significant. In fact, they work to stimulate this soil life because, as this is such an arid zone, it’s necessary to take advantage of any factor that can enhance the growth and survival of the vines. Furthermore, they do something unusual to protect the topsoil from getting fried by the intense sun of the region: they take the ends of live tree branches with their leaves and chop them up, then distribute the pieces on the ground around the vines, producing a kind of topsoil shade. This, of course, also slows down the evaporation rate of soil moisture. As organic matter, this also supports the surface biota, such as fungi that grow on the wood bits, providing nutrition for yet others, such as the insects that feed on fungi. Decomposition proceeds naturally and the compost becomes part of the soil. This has been done for the last two years and they are cooperating with the university in Valencia to study the process and its results. In fact, the idea for this came from Canada, where it is used in large-scale agriculture—not viticulture. Only the ends of branches are used in the fall season, when nutrients get concentrated in the branch tips and leaves. When used for ground cover, the nutrients then pass into the soil, yet another benefit of using the wood and leaves. The thing is that when the wood is being decomposed by the fungi, a good deal of nitrogen is used up, with the risk that there may be insufficient nitrogen for the vines. To compensate, they also plant beans to restore the nitrogen balance in the rows. Other advantages of the use of the tree matter is that it helps control weed growth and also reduces the need to work the vineyard mechanically, such as plowing. Although this treatment is certainly biological, they do not claim to be organic growers. Indeed, there are times, in this extreme climate, when they must resort to chemical means to protect the vines and fruit. Thus, organic certification is out of the question. They have been experimenting with ground cover crops in a small plot, but the problem with that is that, given the aridity of the zone, cover crops may be in competition with the vines for what little rainfall there is. On the other hand, as can be seen in the photo above, they have to run irrigation lines for those times that the rainfall is too low for the vines’ needs. That was the case in the summer of 2016. 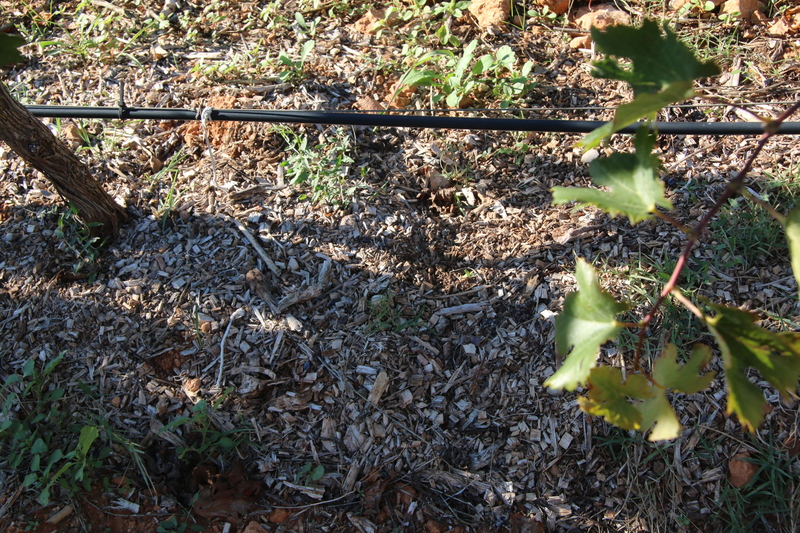 The vines need a minimum of 400 litres of water per hectare, and the rain only delivered 100 litres. Irrigation made up for the shortfall. The other issue regarding rain is that very dry ground is not very absorbent so that there is significant run-off on the surface. The wood cover helps reduce the run-off; cover crops could also help with this. The soil is reddish in color, suggesting the presence of high levels of iron which, fortunately, is balanced by the presence of limestone, which offsets the potentially toxic effects of too much iron by reducing the uptake of the mineral by the vines, but not so much that it would lead to chlorosis, a disease created by lack of iron, which is needed for chlorophyll production. There is a good deal of sand mixed in as well, thanks to the deposits that occurs when the rivers nearby overflow. It’s in the deeper layers of soil that water actually can reside for a long time, allowing the deeply-rooted vines to have access to the moisture that they need in order to thrive. 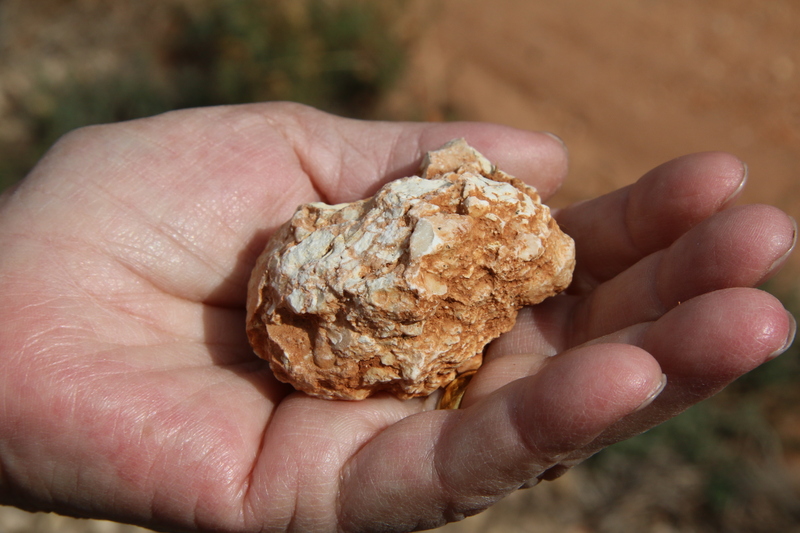 The deeper soil has a great amount of conglomerated rocks, much of which is composed of bits of limestone in a highly porous matrix that holds water like a sponge. Viticulture in Utiel Requena used to focus on maximizing yields so that the wine could then be exported in bulk to countries like France. The wine, mostly Bobal, would then be blended with local varietals to make an inexpensive table wine. However, this came to an end in the 1980s, as standards of quality improved through Western Europe and monovarietals became all the rage thanks to the influence of American tastes. By the 1990s the wine industry nearly dried up as a result and it was obvious that a new approach had to be developed to recover in the market. New varieties were then introduced and planted, including foreigners such as Cabernet Sauvignon. The trend of producing monovarietals and quality blends moved quickly, and Bodegas d’Alba became a part of it, focusing on varieties, some of them French, such as Cabernet Sauvignon, Merlot, and Syrah, in addition to the Spanish varieties Garnacha, Macabeo, Monastrell, and Tempranillo. At harvest all the grapes are picked by hand, but the fruit of each parcel is kept apart from the others until it’s decided to blend them. But first they are taken to an air-conditioned cold storage area in the winery. The winery building is actually an attractive, modern stone structure. The exterior is a fine stone building that has personality. 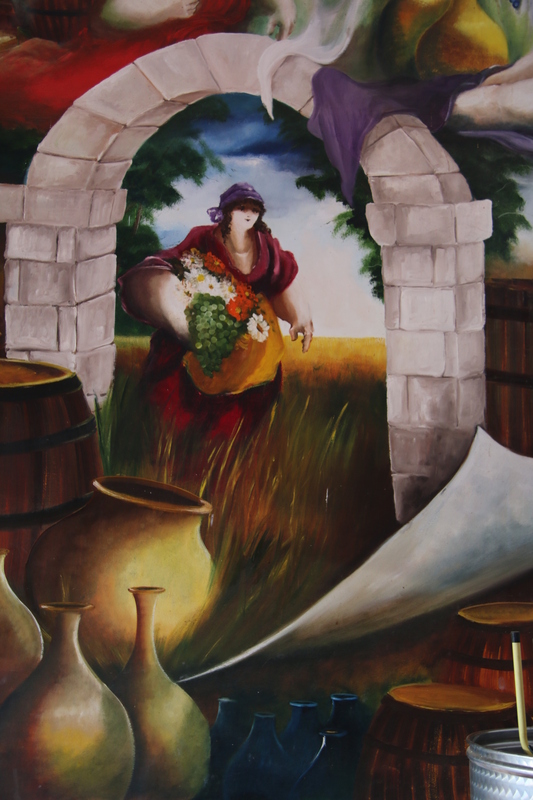 Its interior walls are decorated by murals depicting the vintage season, the winemaking, and so on. The artist, Pancho Mirán, is Colombian, and his work reminds of that by his great compatriot artist, Fernando Botero. The attractive interior also has stucco walls throughout. It is equipped with fermentation vats with up to 10,000 litres capacity each, or about 8,200 kilograms of grapes. All the tanks are equipped with modern cooling jackets to control the fermentation temperatures, allowing for the heating or cooling of the warehouse in a much shorter time and to exercise optimum control over the fermentation. The warehouse holds one 15,000-liter tank and 3 stainless-steel, temperature-controlled storage tanks of 10,000 litres capacity each capable of holding the production of a single parcel. There are as well three 5,000-liter fermenters, four of 3,000 litres capacity, and one oak cask of 6,000 litres. In addition, there are devatting and peak tanks with a capacity of 72,000 litres. Fermentation takes place at a controlled temperature with long macerations using cutting-edge winemaking technology. Malolactic fermentation takes place in oak tubs, prior to the wines being transferred and aged in French and American oak barrels. Only 20% of the barrels are American, and they tend to be used for Tempranillo, which has a real affinity for them. Most of the French barrels, by the way, are oak but the ends, both top and bottom, are made of acacia, which adds complexity to the range of flavors and aromas of the wines made in them. The barrel room had been excavated below ground and it is equipped with an air-conditioning system that not only ventilates the warehouse, but also allows controlling the temperature and moisture at desired levels. The arches that support the barrel room together with careful lighting create a unique atmosphere for the French and American oak barrels used aging the wine for not less than 14 months. The bottle-aging room is equipped with the same air-conditioning as the barrel room, and has a capacity of 70 crates of bottles. Here the wine completes its aging for a minimum of eight months before being released. Nearly everything is done by hand. There is a manual sorting table at the entrance to the winery and, apart from the use of forklifts and the use of an autmated bottling line, all else is done without the benefit of mechanical intervention, including lees stirring, racking, and so on. The entire focus is on producing wine of the highest quality possible. That can best be accomplished by careful manual attention. A major factor here is the recognition that for the wines of Castellón to gain the level of reputation that other DOs enjoy, such as Rioja, Rueda, and Ribera del Duero, they must be of outstanding quality. That is the mission of Barón d’Alba. One way to achieve that is to make wines of great typicity, such that a consumer would know that a Monastrell tastes like itself and not something else. It should also reveal the terroir of the fruit. Indeed, not enough emphasis can be put on the importance of terroir in that regard. They have been identifying the specific microclimates of vines and parcels in order to make the wine in a manner appropriate to the innate terroir expression of the fruit. For example, there is a small parcel that allows Botritis to develop under the right conditions for making a dessert wine. Thus Clos d’Esgarracordes Dolç de Glòria, made from Macabeo grapes and aged in wood for 20 months. This was all made possible because Mario, who studied with Professor Debourdieu, who was also the manager at Château d’Yquem. One could say that Botrytis runs in Mario’s veins when conditions are right. Both Mario and Sergio are committed to the notion that “wine begins in the vineyard.” They endeavor, together, to grow fruit that is characteristic of each parcel, and each parcel has recognizable features. Sergio is the vineyard manager, but given Mario’s own long experience in both the winery and the field, he depends on him for advise. They even work together in the vineyard at times. Not every variety is successful in this region of extremes. The Tempranillo of Rioja is challenged here and survives thanks to the high altitude of the vineyards, but Merlot seems to have adapted better to the terroir. In fact, Merlot makes better wine here than does the native Monastrell. Many of the wines are left on the lees after fermentation for about two months, with frequent lees stirring (battonage). This tends to give the wine more body and enhances the flavors and aromas. The Clos d’Esgarracordes Blanco 2015 is dominated by a varietal not known for high quality: Macabeo. Nevertheless, Mario was determined to extract as much varietal character as possible from this grape, and blended with a touch of Moscatel and Viognier, yields a very agreeable wine with good mouthfeel and ample body. This was a result of time on the lees with battonage. Aromas of apricot, peach, and mango can be detected, thanks to the Viognier and Moscatel in the blend. It earned 85 points and four stars in the Guía Peñín 2012. 10,000 bottles were produced. The Clos d’Esgarracordes Tinto Barrica 2013 is a blend of Tempranillo, Garnacha, Monastrell, and some Merlot, and is aged for 12 months in mostly used French oak barrels. The result is a wine that is dominated by aromas and flavors of fruit, rather than oak, with its typical characteristics of coffee, chocolate, caramel, or cedar. In consequence, it has a certain purity and freshness, which is remarkable for a blend. It won a gold medal from Gilbert & Gaillard, a leading French wine magazine. It costs but €7.50 which is very cheap given the quality, but that’s because the region still hasn’t developed the necessary reputation. The Clos d’Esgarracordes Tinto Crianza 2011 is a blend of Merlot, Cabernet Sauvignon, Monastrell, Tempranillo, and Syrah, having spent 17 months in both French and American oak, with a higher proportion of new oak barrels than the Tinto Barrica. It’s a big, powerful wine that needs time to open up once poured. Given its blend, it is also very complex, offering aromas of coffee, chocolate, and tobacco, and is mouthfilling, with a strong mid-palate and flavors of black stone fruit ending with a quite long finish. Very impressive. At five years it still suggests youthfulness and certainly has a potentially long life. It won a silver medal at the Concours Mondial Bruxelle 2011, and in 2012 earned 90 points and five stars in the Guía Peñín 2012. Another wine that they are very proud of is the monovarietal Clos d’Esgarracordes Colección Pelegrí Cabernet Sauvignon, which is also their most expensive wine. It won a bronze medal at the prestigious Decanter World Wine Awards competition. In all they make nine wines, with a line of inexpensive ones, a red and a white selling for €5. Most are red and white blends plus a rosé that is itself a blend of three varieties, but the Dolç de Glòria, the Cabernet, and the Gewürz are the only monovarietals. Many of the labels are decorated with details taken from Pancho Mirán’s murals in the winery. Obviously, in order to achieve such a reputation, they must produce wines of a very high quality for years, and consistently, so as to attract notice. Publicity is also needed if that is to happen. To attract visitors to their rather remote site they offer full lunches or dinners at table, give tours, and can even celebrate weddings in their on-site chapel. The Website is attractively designed and offers a great deal of technical information about their approach to winegrowing and winemakings, as well as detailed descriptions of their wines in Spanish. We can only hope that Barón d’Alba wines will eventually find their way into the American marketplace. This entry was posted in Vineyards, Vinification, Viticulture, Wineries and tagged Baron d'Alba, Castellon, Clos d'Esgarracordes, Les Useres, Mario Malafosse, Sergio Garrido on 26 January 2017 by JoseM-L.